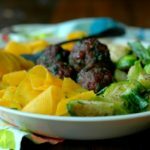 Quick prep, delicious meatballs, and amazing noodle texture in vegetable form that the whole family will love! Oh I was just devastated when the handle on my spiralizer broke a few weeks back! I use that bad boy all the time…hence the worn out handle! Of course I would have loved to hit that little Prime button that day and have my new spiralizer on my doorstep in 2 days flat, but until that money tree grows in the backyard, we have to save and budget for this kind of stuff! So I made use of what I did have…a hand peeler! The perfect, curly ribbon noodles! By the way! Y Peelers are fantastic for little guys who want to help you peel things! My little ones from as young as 2 years old helped peel easy things like carrots and potatoes using this peeler! 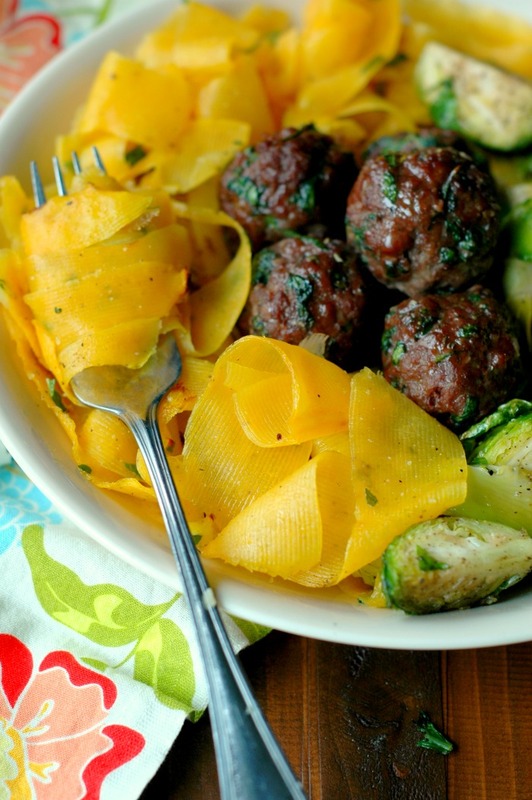 If you have a half hour, you can have this on the table for dinner! Just 10 minutes to prep everything for the oven, and everything roasts in the oven together for 20 minutes! My kids loved the big thick “noodles” and my toddler approved the mild, simple flavor. What’s in season? Use it! I roasted these lovely brussel sprouts to fill our bowls because that’s what is around here are decent prices right now. 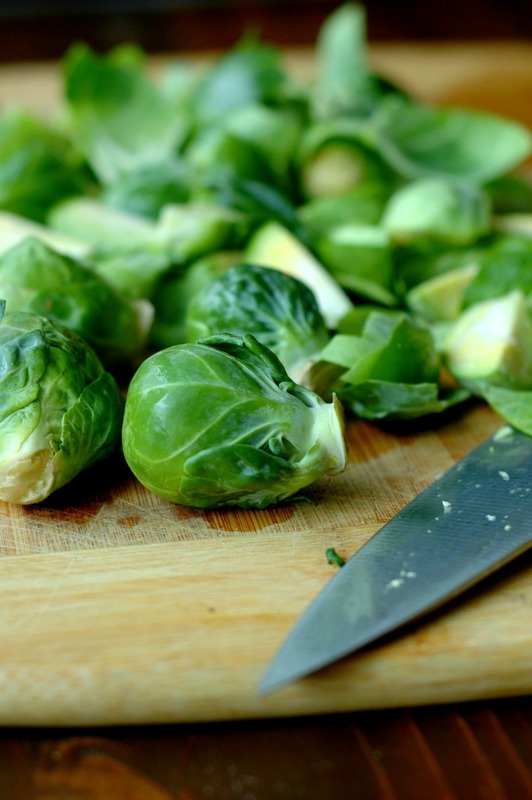 Brussel sprouts get sweet and their leaves get crispy and salty when roasted – they are so good! You could swap the sprouts for asparagus in the spring, broccoli or a mix of summer veg in the summer, and greens or cabbage in the fall. So…will I buy another spiralizer? For now, enjoy my creative efforts in using a hand peeler for a bowl full of irresistible veggie noodles! Mix the beef, kale, thyme, onion powder, garlic powder, sea salt, and pepper in a small mixing bowl. Roll in to 2 inch balls and place on a Silpat or parchment paper lined baking sheet. Toss the brussel sprouts with 4 TB of melted butter, and sea salt/pepper to your taste on a baking sheet. Toss the butternut squash noodles with 4 TB of melted butter, chopped kale, and sea salt/pepper to taste on a separate baking sheet. I also like to add a bit of onion and garlic powder to the noodles - of course optional but we like it! 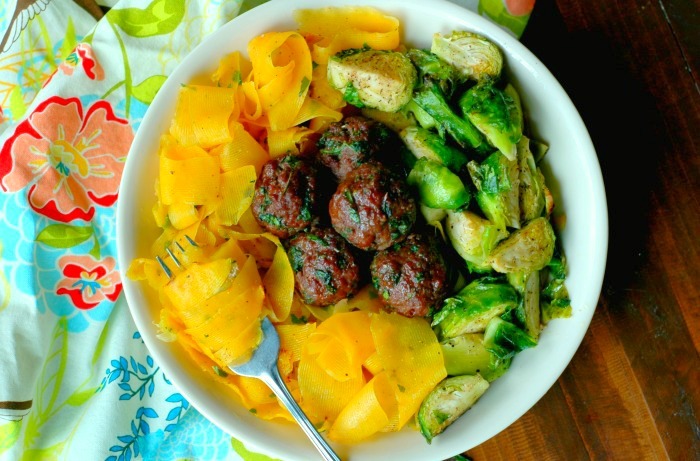 Serve the meatballs and brussel sprouts over bowls of the butternut noodles. You can add homemade sauces or pestos if you wish too! Paleo Cherry Buckwheat Breakfast Muffins :: Gluten Free, Grain Free, & Dairy Free! 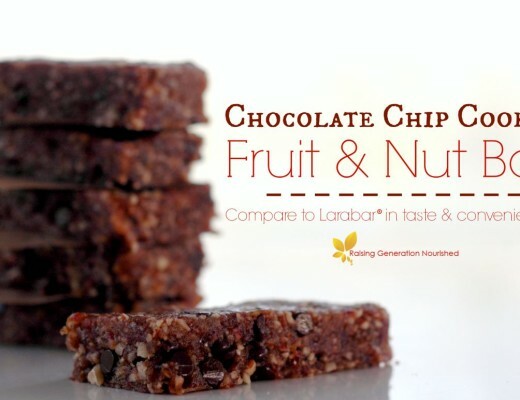 This recipe is so awesome Renee! I love everything about it! Those beautiful meatballs!!! And the Brussels sprouts, so yummy! My Tiny Love would get the biggest heart eyes with this meal. I recently found your instagram and purchased your book, both of which I’m loving! Today I found myself cooking this up for breakfast. 🙂 I ran out of eggs but its a happy accident. Delicious. Thank you! Hi Dana! Welcome! Thank you for your kind words! I am so glad you found something satisfying for breakfast! This looks amazing, and I want to dive right in and eat it all up! 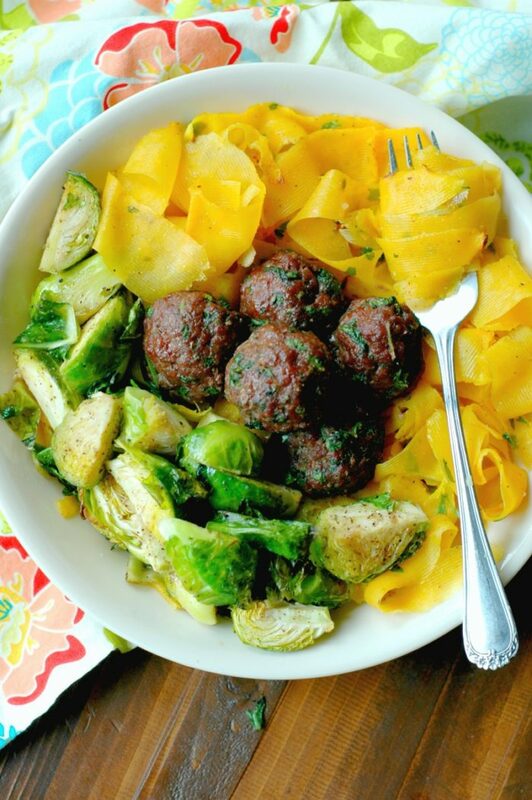 I love this recipe, true beauty nourishment in one bowl. Congrats! This is such a quick and easy dinner option. Great job! The colors of this meal are absolutely spectacular. I love your willingness to be resourceful while still proving your family with a great meal, that is the entire point. So many colors! Such a great variety of foods, and they all sound delicious. And your hand peeling skills are wonderful 🙂 It’s important though to show that you don’t need all the fancy kitchen gadgets to make a delicious and healthy meal. Love that – yes! I agree! 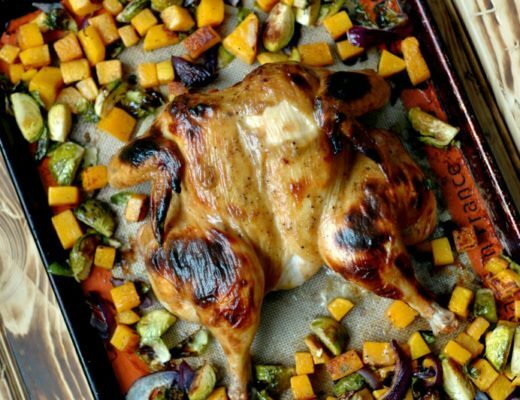 I’m so impressed, I probably would’ve gave up and just roasted the squash whole! I would be lost without my spiralizer too, have you seen some of the new spiralizer attachments from Kitchen aid – it might be worth looking into if you use your spiralizer constantly. Great way to be creative, Renee! 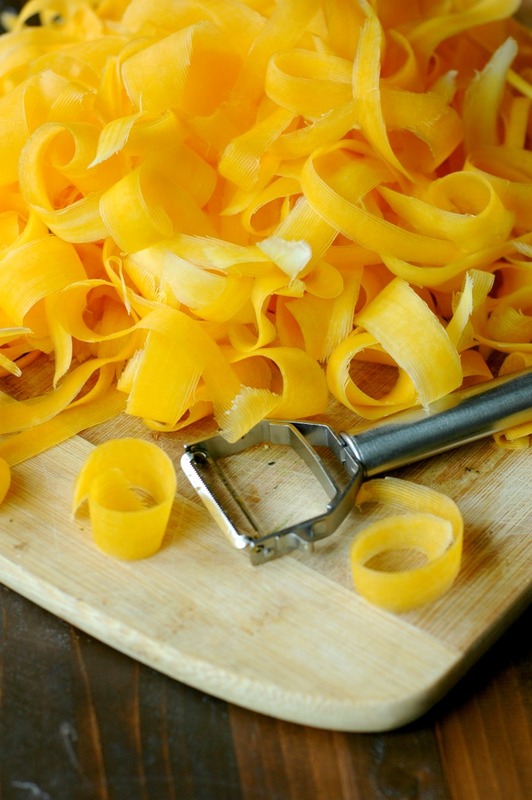 Those noodles are gorgeous and that Y Peeler looks great! I may need one 🙂 This meal looks so delicious! Stunning meal combination. 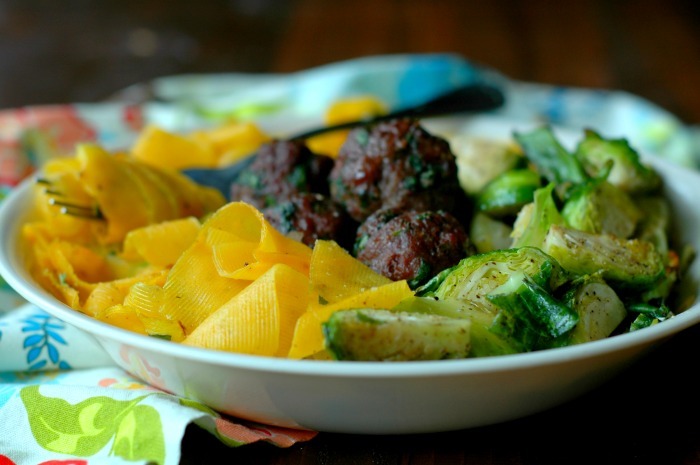 The browning on your meatballs is PERFECT! 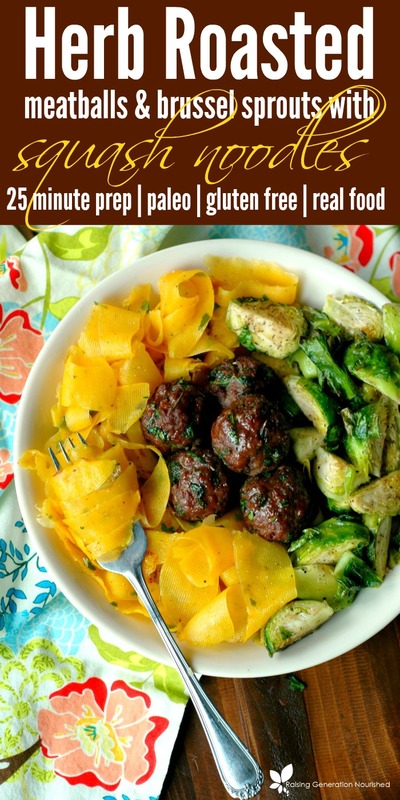 What a perfect combination of healthy meal balanced with protein, veggies, and good carb ! Love love love it ! This is the perfect meal. I love butternut squash noodles. I need to make this NOW!! What a vibrant and beautiful meal! Love it! Ohh I absolutely love everything in this dish!! Wow I love these ribbons so pretty and appetising. What a delicious dish. Those “noodles” look like total golden magic!